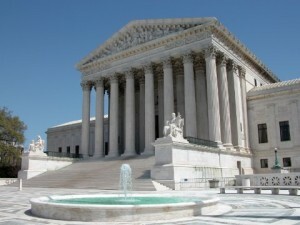 The Supreme Court this week reversed the conviction of a Pennsylvania man who made obliquely threatening statements toward his estranged wife and others on Facebook, saying that courts must take into account the defendant’s state of mind at the time of writing and whether he actually intended the postings as threats. Of course, “true threats” are among of the few categories of expression that are not protected by the First Amendment — but often the line between true threats and hyperbole or figurative language is not terribly clear. Anthony Elonis, the defendant in the case, said his violently tinged Facebook rants were intended to be “fictitious and even therapeutic” — along the same lines as some rap lyrics. The jury that initially convicted him was told that the statements would meet the definition of a threat if a “reasonable person” perceived them that way, but the Supreme Court justices found 8-1 that those instructions were in error since the intent underlying the statements must also be taken into account. The Court’s disposition of this case is certain to cause confusion and serious problems. Attorneys and judges need to know which mental state is required for conviction….There is no justification for the court’s refusal to provide an answer. Elonis, who served three years in prison on the Facebook conviction, was back in jail as of last Friday for a parole violation apparently related to a recent arrest for assault against his girlfriend’s mother.